Betsson online casino offers a 100% welcome bonus up to €500, in addition to that they also offer 20 freespins everyday for 30 days, a total of 600 freespins. On the sports betting side they offer a €100 risk free bet on your first deposit. If you prefer Poker they offer exclusive freerolls and up to a massive €2000 welcome bonus. The rake is 5X and within 60 days. Betsson Online Casino offers a massive 1500+ online casino games. You will definately find something for your taste and preference. These 1500+ online casino games offer everything from slot machines, jackpot games,video slots, table games to scratch games. They of course also offer standard and variations on the classical Roulette, Black Jack, Bingo and Poker games, with live versions of course. Betsson Online Casino uses a wide selection of Casino software for their online casinos. Everything from NetEnt, Evolution Gaming, Nyx Interactive, Jadestone, Realistic Games, Play'n GO, Thunderkick, Quickspin, AG software, Foxium, Skillzzgaming, Red Tiger Gaming, Fuga Gaming to Micro gaming. Two of the biggest Casino software companies like NetEnt was founded in 1996 and Microgaming in 1994. Betsson Online Casino offers a good range of deposit options. For all options the minimum amount is €10 and transaction time is immediate except for the bank transfer that takes 2-5 working days. With the biggest VISA and Mastercard there is a small 2.5% service fee which the others dont have. Betsson online casino offers almost as many withdrawal options as deposit options including bank transfer. They offer VISA, Neteller,Skrill (Moneybookers), Ecopayz, Entropay and Bank transfer. Minimum withdrawal amount is €20 for all. For bank transfer, VISA and Entropay it takes 2-5 working days. All the others are within 24 hours. Note that you can deposit with Mastercard but you can not withdraw. 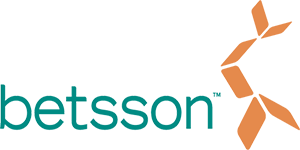 Betsson Online Casino started with English and Swedish. Today they offer all the nordic languages like norwegian, danish, finnish and icelandic. In addition to that they also offer german, spanish, greek, french, turkish, czech, polish, portuguese, serbian and italian. Betsson Online Casino offers all the currencies valid in the markets where they are established. From US dollars, Euros, British pound sterling, Norwegian kroner, Polish zlotys, Czech Republic korunas, Denmark kroner to Swedish Kronor. Now you can also use Brazilian real R$. Betsson Online Casino having been awarded "Best Customer Support", they do stand out in terms of support. They offer a live chat 24/7 with an average estimated response time of 30 seconds. They also offer mail support with a promise of 30-60 min response time. If you want to talk to them they also offer a request for call back. With a response time said to be between 15-60 min. Betsson Online Casino focus on their offers for instant play and mobile. Their success has been built on the foundation they started with when they began to offer livebetting on sports events. This has made them into one of the leaders in online casino for instant play and mobile. Mobile being the one growing the fastest with players requiring a smooth and enjoyable experience on the go.